New study finds mosquitoes don't just lay eggs in water! For years we've been told that standing water provides ideal conditions for one of world's deadliest creatures — mosquitoes — to lay their eggs, but that's not quite the case. 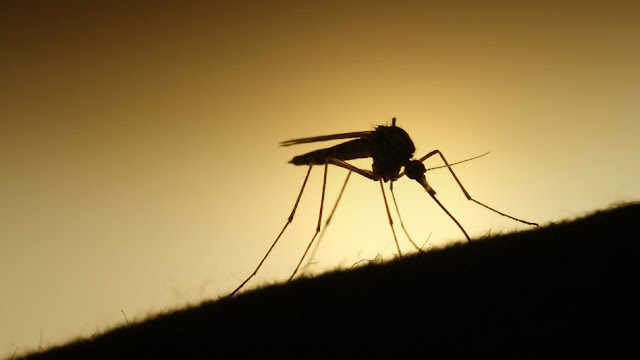 A new study published in the American Journal of Medical Entomology changes almost everything we know about mosquitoes, and this new knowledge has huge implications in how we deal with man's winged enemy. According to the study, some kind of mosquitoes are able to lay hatchable eggs in mud and even pure solid surfaces like wood. The standard wisdom on curbing mosquitoes is to eliminate pools of standing water where they might breed. But this new research on a major family of mosquito species finds that may not always be enough. The study, by a team at the University of Florida, discovered that most species within the Culex family of mosquitoes lay their eggs in more varied locations than just "floating egg rafts," as was previously thought. In the study, Culex mosquitoes were placed in screened cages with dishes containing both standing water and partially submerged objects, such as a clay material or segments of mangrove roots. The researchers were surprised to find that most of the mosquitoes' "egg clusters" were laid on the dry surfaces of the clay material and roots -- and not directly in water. This discovery suggests that in the wild mosquitoes would not always need a pool of water to effectively breed. Mosquitoes are carriers of serious diseases like malaria, Zika, dengue and chikungunya.